You’ve lived in your home for years now, and so has your air conditioner. It’s starting to seem like maybe a new air conditioner might be the answer to your problems. Many people experience issues with their air conditioners, and unfortunately they tend to spend dollar after dollar on repairs, when what they truly need is an entirely new unit. 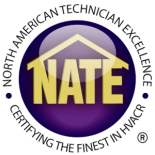 Well not to worry, because the NATE certified techs at Premier Heating And Air are ready to help you find the AC unit that’s right for your home. Our air conditioner installation is the best in Denver. Not only will we install your new unit, we’ll teach you how to use your new system, as well as how to make the most of your efficiency. Our customer satisfaction is our number one priority. In fact, our air conditioning service providers are so dependable and thorough, that we offer our air conditioning installation with a 100% satisfaction guarantee. This means if you’re not satisfied with your air conditioner installation, we’ll offer your money back, guaranteed. At Premier, we take pride in our air conditioning services, and want our customers to feel that when they choose us, it’s money well spent. Premier Heating And Air offers the best air conditioning installation in Denver and surrounding areas. We know that many people are stuck with undependable HVAC companies, and lose money every year from bad work on their systems. With Premier, we won’t make you overpay for our air conditioning services, and if something should go wrong and you’re not satisfied with your service, we’ll take care of the problem at no extra charge, and even offer a money back guarantee. Keep your family cool this summer, by choosing the air conditioning services with Premier Heating And Air. Contact the Premier Air Conditioning Install Team for an Appointment Today!